Submit Your Abstract Application Early! Please read the guidelines below and submit the relevant required application form and text of abstract before due date in order to be processed for approval. You can also download the guideline/form from the download link. 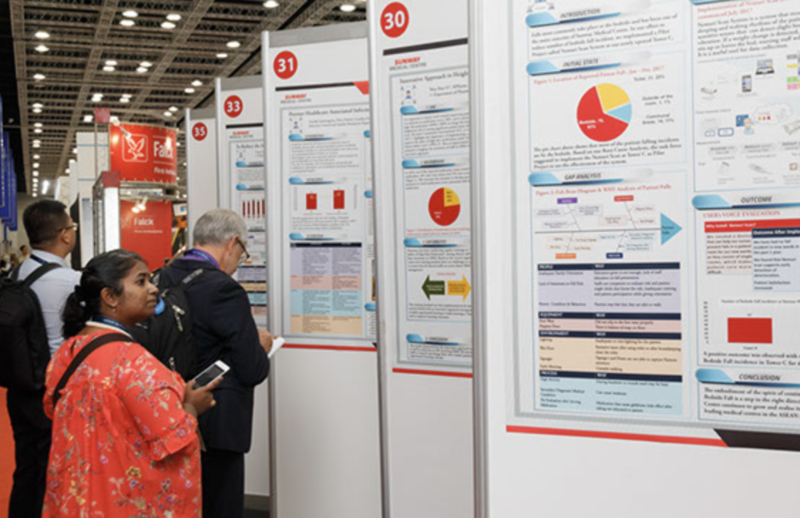 We welcome abstracts for poster presentations showcasing your hospital/ department’s Quality Improvement Projects. An individual may submit a maximum of two abstracts. Presenting author of abstract that is accepted, must register for the 3 day Conference. Details and guidelines (poster size, font size etc.) for the final preparation of accepted abstracts will be included with the notification of acceptance. The selection of abstracts will be done by the APHM Committee, whose decisions are final. CO-AUTHORS – Type names and degrees as per instructions above. Text of the abstract must not exceed 250 words and be typed single-spaced, with only the left margin justified. Graphs, tables and illustrations cannot be included in the abstract. Submission of abstracts by email to:info@aphmconferences.com (Must submit as Words file). YOU CAN SUBMIT YOUR APPLICATION FORM USING THE ONLINE FORM BELOW OR DOWNLOAD THE MANUAL FORM TO SUBMIT and email to info@aphmconferences.com. All application forms and text of abstracts MUST be submitted on time before due date in order for us to process and submit for approval by the committee. Thank you.